QAT Audio Technology is a Chinese company, whose principals have a wide range of interests, from bio-medical engineering to musical performance and composition, and their products aim at the highest level of performance. The QAT MS5 ($5990), which received the Best of Innovations 2013 award is a music server that includes a TEAC CD drive, 2 TB-capacity hard drives, and a tablet-style remote control. What's this? Somebody found a way to market needle talk (aka stylus chatter)? Michael Fremer should be here to check this out! 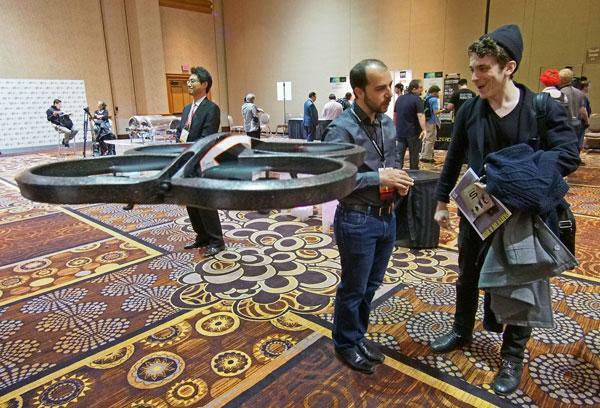 The Parrot AR.Drone 2.0 has nothing to do with audio, high-performance or otherwise, so it arguably doesn't belong in a Stereophile show report, but I'm assuming that some readers are gadget-philes as well as audiophiles. The AR.Drone 2.0 is a toy, but not "just" a toy: it has two cameras, so you can shoot aerial helicopter-type shots and view them live on your iPad. Wouldn't you have wanted one of these when you were a kid? 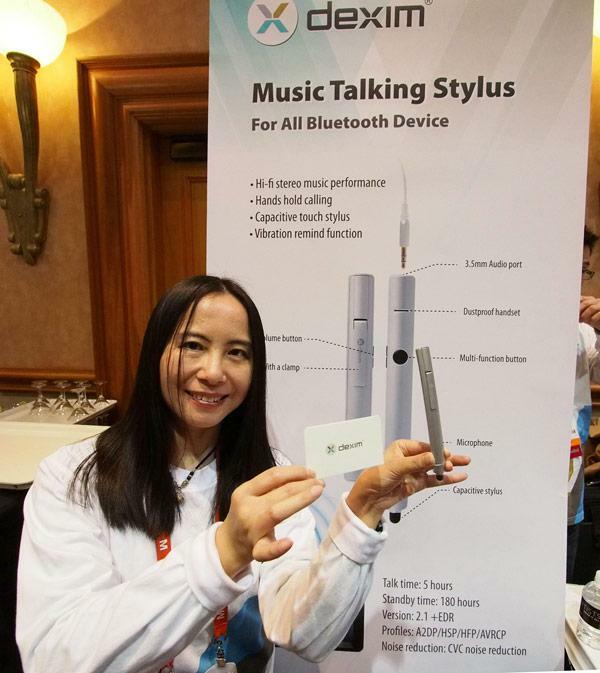 CES Unveiled, scheduled from 4:007:00 p.m. on the day before the Press Day, is an event that provides a preview of CES, giving exhibitors a chance to have press coverage before CES proper opens, and, similarly, allows attending members of the press to get an early start on their CES coverage. It's a kind of mini- (or micro-) CES, with products mostly on static display, and, given its size (small booths in a hotel ballroom) it cannot be representative of the giant entity that is CES. Still, for most of the CES press, CES Unveiled is the only game in town during that time, so you might as well attendand, who knows, maybe you'll see something interesting that's worth checking out further when CES opens. Based on previous experience, I knew there would be a long lineup, so I didn't go until after 5 o'clock. There was no lineup, but inside it was still crowded. 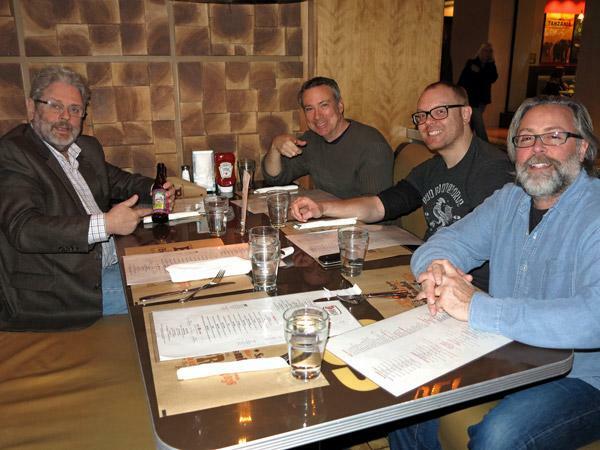 Robert Deutsch had yet to make his appearance, fresh from performing in two musicals in Canada, when I snapped this photo of some of Stereophile's CES team stressing the show account and plotting our on-line coverage at the Mirage's classy BLT Burger. Pictured, LR, are John Atkinson, Jon Iverson, Stephen Mejias, and Audiostream.com's Michael Lavorgna. 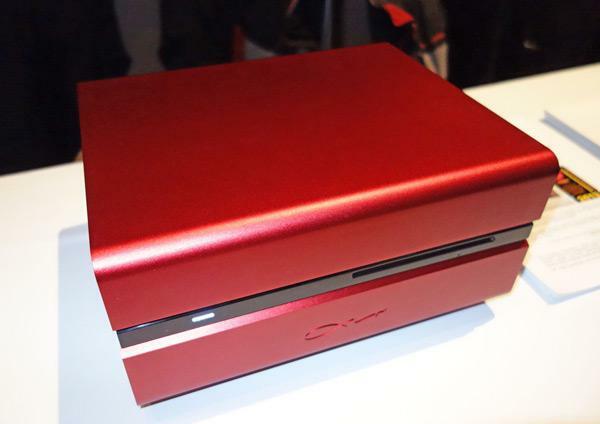 CES: Is It a Mirage? For many years, when the Stereophile crew journeyed to Las Vegas to cover the Consumer Electronics Show, we stayed at what eventually became the Hyatt Place. Not only was it smoke and slot machine-free, quiet, and equipped to serve breakfast gratis, but it was also located just a block from the CES "high performance" exhibits in the Alexis Park and the "alternative" T.H.E. Show in the St. Tropez, and a shuttle bus ride from the Las Vegas Convention Center (LVCC). 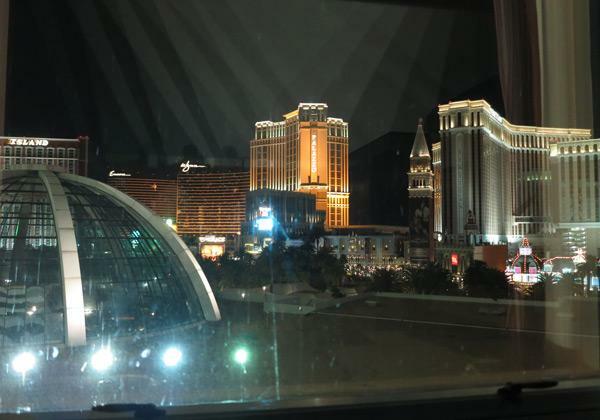 It was an ideal place to sleep, work, and recoup in... until CES shifted its "high performance" exhibits to the Venetian Hotel on the Strip, and T.H.E. SHOW moved nearby. At last, Stereophile has caught up with the shows, and made the move to the Mirage. Located just across the street from the Venetian, and down the block from T.H.E. SHOW at the Flamingo, it's a massive hotel whose interior is dominated by a huge, multi-story arboretum complete with towering plants and waterfalls. Behind the registration desk is a huge aquarium, packed with an impressive collection of exotic looking fish whose blank-eyed stares are mirrored in the faces of many of Las Vegas' veteran gamblers. To get to the room elevators, you must walk through the gambling area, with all the smoke, noise, and looks of desperation that are the mark of one side of Las Vegas. Pictured is the alternate reality view from my 5th floor hotel window. Treasure Island is on your left, and the Venetian on your right. Don't even think about what lies in between.